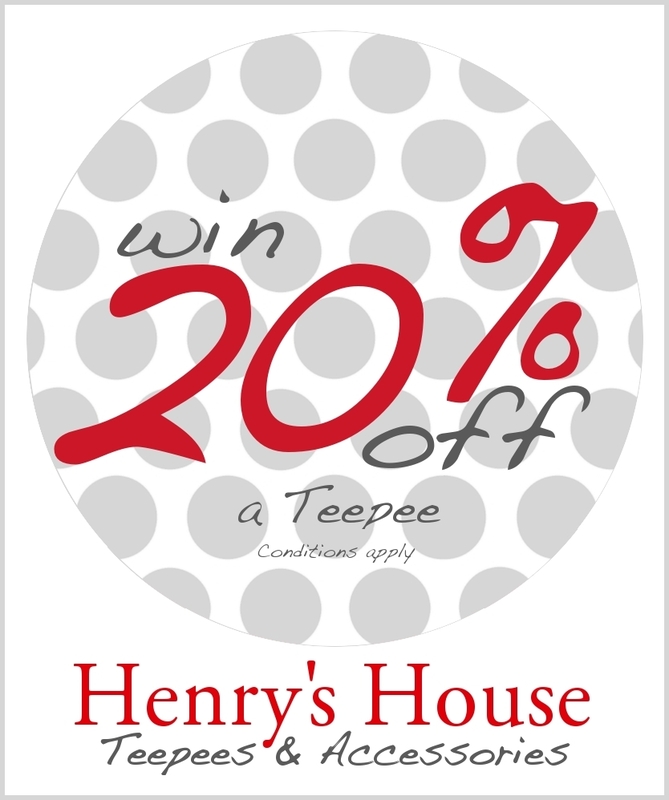 Henry’s House has reached 1000 “likers” on the Henry’s House Facebook page and that means that one lucky “liker” will be chosen via random ballot to receive 20% off a Teepee! But there’s a catch! You have to come to Billycart Markets to place your order on Sat 28th May in Sandgate, North Brisbane. I’ll be there with my order form ready to take your order. The draw will be at 8:30pm AEST. At 8:30pm a link will be added on the Henry’s House Facebook page for you to follow back to the blog to leave a comment saying you’re in it to win it! The draw will only be open for 30 minutes so make sure you get in quick. The winner will be chosen at random and announced here on the Henry’s House blog. The winner must be able to come to Billycart Markets to claim their “20% off a Teepee” and place their order. 1. “Like” Henry’s House on Facebook and tell all your friends to “Like” as well. 2. Be waiting on Facebook at 8:30pm AEST on Tues 17th May, for the link to follow. 3. Follow the link and leave a comment saying you’re in it to win it! 4. If you’re the winner, come to Billycart Markets to claim the prize. Awww no fair, I would love a Teepee for my two children! Unfortunately I can’t be in it to win it due to the fact I live in WA!!!!! Did you see my new GIVE AWA?. The same przie but it’s open to all the likers of Henry’s House on Facebook! This one you can be in to win! Sure can buy them Jodie. Right here at Henry’s House! Have a look around and you can place an order through the orders tab.